Wheeler Service Inc. is proud to serve the Whitwell community! Please call us today at 423-949-4350 to consult with our home comfort specialist. 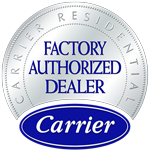 About Whitwell, TN - Happy to be your hometown Heating & Air Conditioning Contractor! Whitwell, located in the county of Marion, just north of Chattanooga (and a part of the Chattanooga metro area), has a population of approximately 1,600. Whitwell is nestled in the Sequatchie Valley, a place abundant with natural beauty and one of only two known valleys in the world that is also a rift (the other being Great Victoria Valley in Africa). Whitwell is very patriotic, annually paying tribute to veterans at the meticulously kept Marion County Veterans Memorial Park, and offering a grand tribute to the Civil War through the Civil War Dinner Theater at Buttonwill Church that provides a menu authentic to the time, along with a re-enactment dinner show. 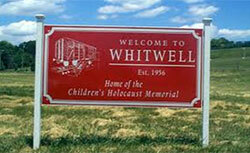 Whitwell is also home to the world-famous Children's Holocaust Memorial and Paper Clip Project, created by Whitwell Middle School students, and the basis of the Miramax film Paperclips. Whitwell embraces fun, with the annual City of Whitwell Labor Day Parade being an extravaganza to remember, complete with a beauty pageant and a showing of the Tennessee Walkin’ Horses. Ketner's Mill Festival is held annually on the 100 acres next to the mill that was built in 1882, and provides food, festivities, and foot stomping blue grass, country, and gospel music. Even the food selections in Whitwell are fun with satisfying meals offered at such places asthe locally beloved Dairy Bar, in business for 47 years and serving their infamous cheeseburgers and root beer floats. The weather in Whitwell is mild but seasonal with cooler winters, warmer summers, and an average annual temperature in the low-sixties.